OHRID/SARAJEVO – Ministers of Foreign Affairs of the South-East European Cooperation Process (SEECP) approved in Ohrid today the annual report of the Regional Cooperation Council (RCC) Secretary General and the organization’s work programme for 2014-2016, focused on SEE 2020 – a Job-Creating Growth and EU Integration Strategy. The Ministers stressed importance of the RCC and praised its Secretariat for the successful job performed thus far. They welcomed the common regional approach contained in SEE 2020, currently being developed under RCC auspices, and recognized its important role in exiting the economic crisis and reaching sustainable development. “Let us make the best use of SEE 2020 in addressing the region’s economic development priorities and making it more competitive. In that way, we will also get closer to the EU”, said Goran Svilanović, RCC Secretary General, while addressing the meeting. The participants underlined the need to associate national development strategies with the SEE 2020 strategy in order to ensure its successful implementation. Stefan Fule, EU Commissioner for Enlargement and Neighbourhood Policy, congratulated the RCC for ensuring all-inclusiveness in its work, and expressed EU readiness to bring more and more EU-related agenda to the region. The meeting participants extended congratulations to Croatia on becoming an EU member in July. They acknowledged the enlargement process as a strong and credible policy that enables political and economic reforms serving the strategic interest of both the EU and the region. The Ministers emphasized that the RCC should continue to play an important role within the current and the incoming multi-beneficiary Instrument for Pre-accession Assistance (IPA). The participants expressed satisfaction with bilateral, regional and multilateral cooperation, acknowledging especially the role of the Ohrid Joint Statement Solidarity in Action as a basis for further focused regional cooperation in disaster risk reduction and climate change adaptation. 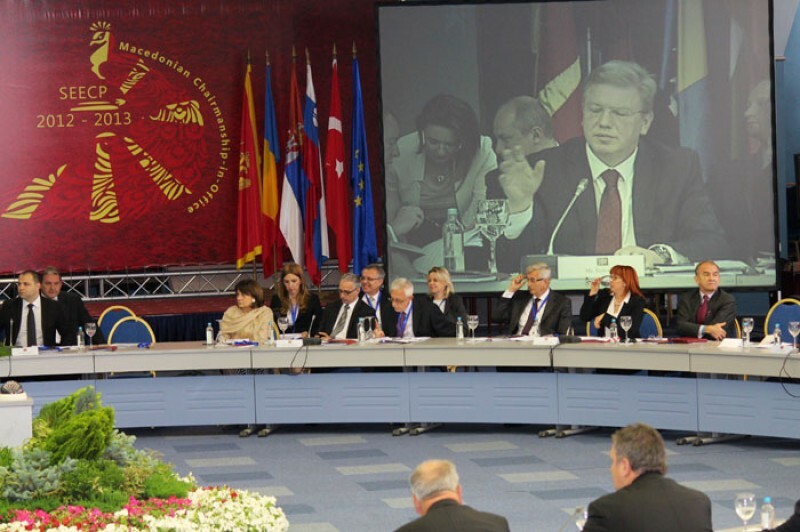 Speaking points of the RCC Secretary General Goran Svilanović at the Meeting of the SEECP Ministers of Foreign Affairs.